Listen to this track by Brisbanite post-punk jangle-poppers The Go-Betweens. It’s “The Streets Of Your Town”, a single as taken from their much-lauded 1988 album 16 Lovers Lane, their sixth album, and their most high-profile and commercially successful, too. By the time they’d recorded this song, they had made the move back to Australia from London where they had been based for many years, having followed contemporaries The Birthday Party to seek their fortunes in the UK. Ironically, it was their return to their homeland that yielded their best results of the decade, with this song making modest waves on the British charts as well as on the Australian ones, even if those results were respectable rather than the breakthrough success they hoped for. Despite the lack of commercial traction, the return to Australia had an effect on how the writing came out. From the grey melancholy of London and into the 10-minutes-from-the-beach lifestyle presented by relocating to Sydney, the atmosphere of the album took on a decidedly summery feel. As such, songwriters Grant McLennan and Robert Forster experienced a burst of energy, which can certainly be felt in this song and is the core reason why this album would make such a long-lasting impact. Yet some of the dark clouds that had been so pervasive in London had followed them, mingling with the Australian sunshine, reminding them that time had moved on and perhaps so had they. These kinds of contrasts and emotional juxtaposition is the key to why this song is so strong. This song plays with light and dark on many levels, with the bright and sunshiny energy found in the music mixed in with the ominous and overcast nature of some of the lyrics. “Watch the Butcher shine his knives, and this town full of battred wives” is particularly striking as guitars jangle away behind those lines. This song is all about outward appearances and every day routines that keep us from understanding the true nature of things, with a result that produces an emotional and spiritual displacement that lurks just out of our lines of vision. I think the mixed feelings that are stirred up in this song is indicative of any experience of returning to one’s home. The comfort of familiar surroundings is commonly intermingled with the unease when we return home. It’s most often driven by the knowledge that the image we held in our minds about our home becomes quite a different thing once we’ve spent time away and have gained new experiences and perspectives. Maybe too, we can no longer see past the dark corners of our homes without seeing some of its ugliness. All of this comes with a blunt realization about how life in where we grew up has moved on passed our idealized expectations by the time we return to it, and that the town we knew (or thought we knew) is gone forever. In this song too, there is another undercurrent to be followed along these same lines. In the same way a home town can feel different to us over time as we grow up and mature away from it, so can a relationship. The phrase “streets of your town” can provide a very meaningful parallel to our understanding of the workings of a lover’s heart. Over time, they often seem to be as familiar to us as before, and yet from another perspective completely unfamiliar at the same time. That person we knew has been undergoing changes of their own all the while, even as we have. At a certain point, all of those emotional streets we thought we knew so well become labyrinthine and sometimes downright unwelcoming instead. It’s then that we often find ourselves lost. Sometimes we can find our way again, and navigate them as before. At other times we find we can’t any longer, and those streets cease to feel like home. To me, this is the takeaway to be found in this song, which is about the march of time and the changes in perspective that comes with simply living our lives while slowly growing away from one another. Perhaps too, it is none too surprising that the band would end by the next year, with McLennan and Forster branching off into solo careers, and with other relationships in the band fading away. Yet, it was not the end after all. the two songwriters would come together again in 2000 and would record three more albums together under the Go-Betweens name until McLennan’s untimely death in 2006 which ended The Go-Betweens for good. 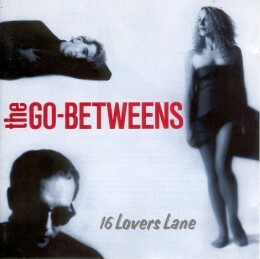 For more on The Go-Betweens and how their hometown may have influenced 16 Lovers Lane, check out this article from The Guardian. But are you going to tell your readers where Brisbanite is?? The Go-Betweens were peerless, and Robert Forster continues to make excellent records. Didn’t they name a bridge after them in Brisbane? They did indeed! Now it’s a *literal* street of their town.